Additional Feature: High-speed sync, Rear-curtain sync, FEC, FEB, FEV, the electronic flash head zooming, sound prompt, automatically saving setting, PC port, power saving mode, over heat protection, advanced setting. 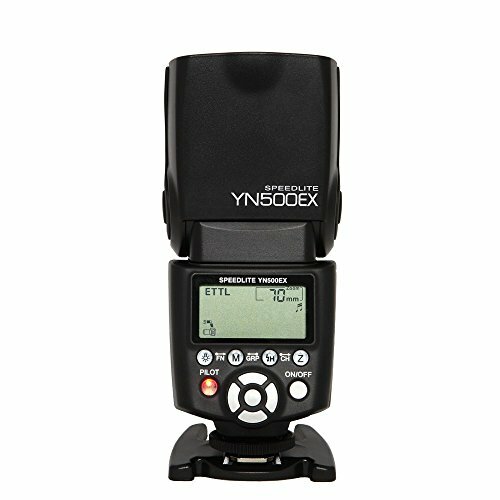 The Yongnuo YN500EX Speed Light is the brand new range of speedlites which supports high-speed SYNC flash, TTL functions and remote wireless trigger. Compatible with N's and C's wireless flashing system. Motor zooming and PC synchronous interface. Large size LCD display, multiple trigger mode. Fast current-return functions never let you down. If you have any questions about this product by Supermax, contact us by completing and submitting the form below. If you are looking for a specif part number, please include it with your message.